Team Gurren is formed with Kamina as leader! The human rebel army continues their journey to the Gunmen’s headquarters, but they are challenged by Thymilph, one of the Four Generals. At the end of that fierce battle, Team Dai-Gurren held the Dai-Gunzan in their control. However, the price they paid for their prize was all too high. 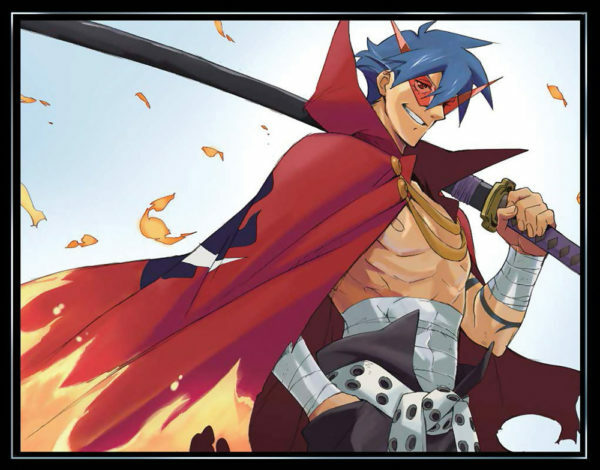 Having lost Kamina, their emotional support, the members of Team Dai-Gurren are beginning to lose sight of their goal. Contains episodes 6-10 (and the On-Air version of Episode 6) plus a double-sided poster and a 16-page booklet featuring creator interviews and an illustration gallery! Be the first to review “Gurren Lagann Blu-ray 2 (Hyb)” Click here to cancel reply.